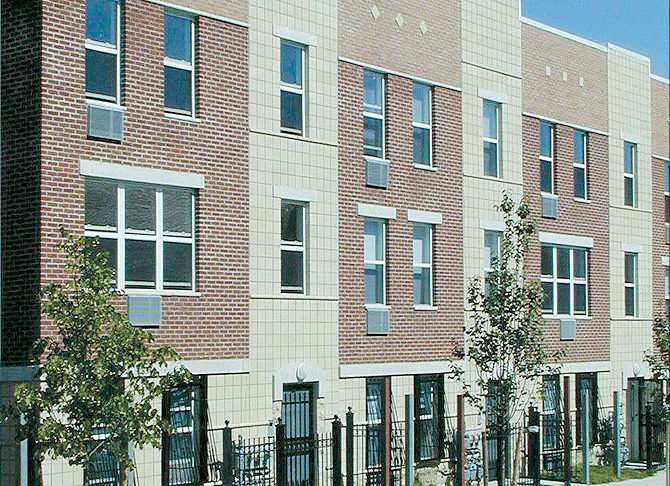 Developed in conjunction with the community organization We Stay/Nos Quedamos Committee, Plaza de Los Angeles received the Boston Society of Architects A/AIA New York Housing Design Award in 2000. These 35 three-family homes continued the tradition of homeownership in the Melrose neighborhood and sustained Procida’s commitment to affordable housing in the community. Development Manager: Procida Realty & Construction Corp.